BREAKING News Out Of Philadelphia... HELL YEAH! BREAKING News Out Of Philadelphia… HELL YEAH! The entire incident began as Thompson slept in her home. She was awoken at 4:30 am to the sound of someone breaking into her house. “First I thought I was dreaming, and then I looked out the window, outside. I was still hearing the banging, banging, banging, so I yelled to whoever, ‘Who’s that on my door? Get off my door, get off my door,’” Thompson recalled. Police confirmed Thompson’s recollection, as Fox News reported that a 43-year-old man did try to force his way into her house at that time. The alleged burglar was struck while Thompson fired at him several times. He ran to a nearby car wash and called the police to report he’d been shot, Fox 29 reported. He was arrested, taken to the hospital and treated for a gunshot wound to his upper arm. Thompson, whose son is a Philadelphia police officer, said the incident played out within 10 minutes. She recalled how the suspect could have killed her if she didn’t fire the gun. “After everything was over, then I did get a little shaky. He could’ve killed me,” the grandmother said. 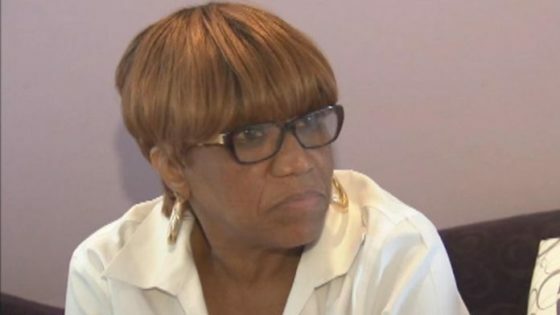 Thompson just hopes the intruder will think twice before attempting to violate other’s rights saying she hopes she taught him and other people a lesson. “Stay the hell out of people’s houses,” Thompson said.